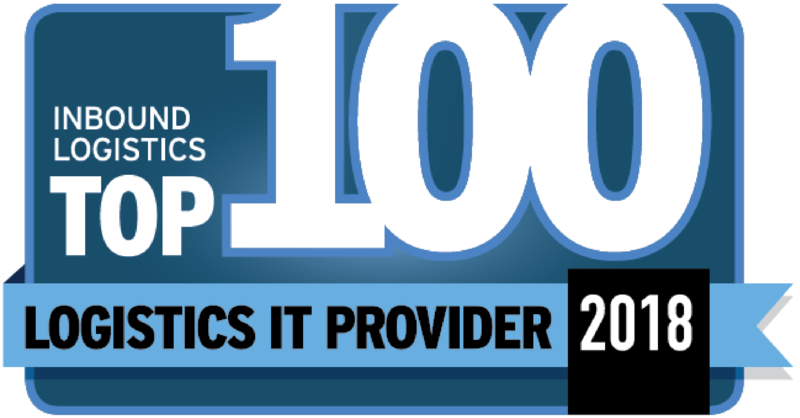 NEW YORK, NEW YORK AND FORT MYERS, FLORIDA APRIL 02, 2018 – GLOBAL FREIGHT BILL AUDIT, PAYMENT AND LOGISTICS INFORMATION SERVICES ADVISOR DATA2LOGISTICS HAS BEEN DESIGNATED A TOP 100 LOGISTICS IT PROVIDER FOR 2018 BY INBOUND LOGISTICS. THIS IS THE FOURTEENTH CONSECUTIVE YEAR THAT THE COMPANY HAS RECEIVED THIS AWARD. “Successful supply chains are continuing to expand their use of logistics IT in order to gain the visibility and control they need remain competitive and grow their business. Data2Logistics provides the technology solutions Inbound Logistics readers need to achieve these important goals. From the demands of global visibility, to the need to merge product data with freight activity, to the challenges of managing big data, Data2Logistics is meeting the growing demands of shippers, carriers, and 3PLs. Data2Logistics deserves recognition for providing the innovative solutions empowering logistics and supply chain excellence in 2018” stated Felecia Stratton, Editor, Inbound Logistics. As a single source for processing all modes of transportation on a global level, Data2Logistics assists clients leverage their corporate purchasing power by tracking costs, service level usage, understanding shipping volumes, lanes, distance, locations, accessorial charges and harmonizing data and KPI’s from a corporate perspective. Data2Logistics provides a transportation cost-savings portfolio of freight bill auditing, processing, payment and advisory services to companies who ship products domestically and internationally. Additionally, their Data2Inform℠ business intelligence platform provides clients with advanced data analysis features such as predictive analytics, dashboards, mapping, graphics, ad-hoc query capabilities and data visualization. Data2Logistics assists Global 1000, Fortune 1000 and SMB companies to reduce their shipping costs by providing an outsourced opportunity to efficiently process, audit, account code and pay their freight at a significantly lower cost than internal processes. Clients also benefit from the identification of more carrier overcharges than their internal systems can identify. The company provides actionable information to better manage and control transportation cost. Data2Logistics identifies and reports opportunities for savings and the reasons for variances in trends. Savings opportunities can be derived from modal shifts, consolidation of shipments, improved carrier utilization, and adjustment to shipment size, as well as monitoring accessorial costs. Reviewing billions of dollars of freight invoices from thousands of carriers annually, the company provides a single-source solution which results in savings averaging 5%-15% of shipping expenditures each year. Fort Myers, Florida-based Data2Logistics is a leader in supply chain logistics, cost management, freight payment and advisory services. The company’s Ship Smarter and Save capabilities assist hundreds of clients in the Global 1000, Fortune 1000 and SMB categories, processing hundreds of millions of freight bills annually, valued in excess of $10 billion, saving clients an average of 5%-15% of their product shipping expenditures per year. Since its inception in 1981, Inbound Logistics' educational mission is to illustrate the benefits of demand-driven logistics practices, give companies the knowledge to help them match the inbound flow of materials to their demand, and align their business process to support that shift. Inbound Logistics offers real-world examples and decision support to guide businesses to efficiently manage logistics, reduce and speed inventory, and offset rising transport costs, supporting business scalability across their value chain. More information about demand-driven logistics practices is available at www.inboundlogistics.com.